Chat privately and easy for free at the place to talk. 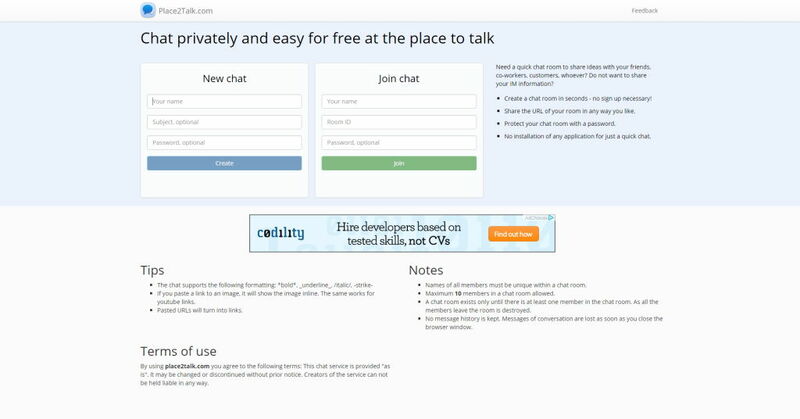 Using the free online service everyone can create his/her own chat room and share its URL with friends, co-workers, customers. Service does not ask for registration and does not store message history. The web-chat is useful when a real-time chat is needed with a person usually contacted via forums/emails/etc, and sharing IM contacts with him/her is not an option.